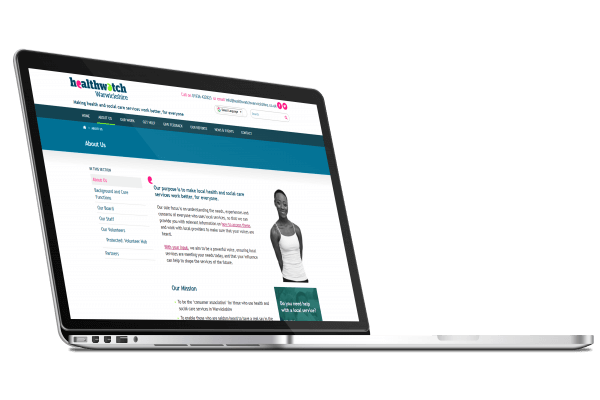 Healthwatch Warwickshire needed a website that was vibrant, friendly, engaging and approachable. With the audience being potentially anyone in Warwickshire it had to appeal to and be easy to use for a huge range of people. A large amount of information had to be available: information on news and events, public reports and signposting to other services. The design uses colour to give highlights as well as lots of white space for clear presentation of the information. Large contact areas on each page and integrated Google Translate makes the site accessible to all. 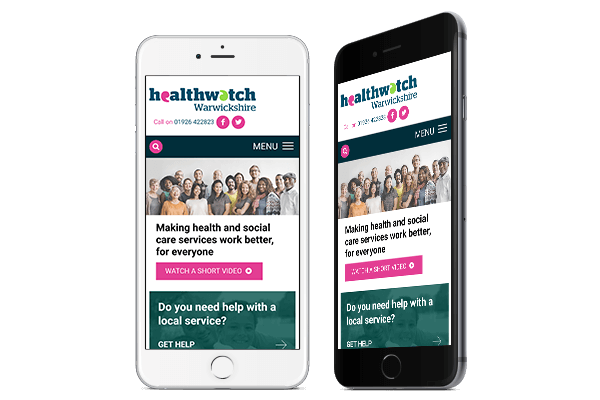 Accessibility was a top priority for the Healthwatch Warwickshire site and it needed to perform well on all sizes and types of device. With more and more people using their mobile phones or tablets to browse the web and access information on the go it was important that the mobile version retained the clarity of the design as well as the usability of the site. To avoid overwhelming visitors and to make all the information easy to find a lot of attention was given to a clear approach for the site. Information is split over different pages with clear navigation. Plenty of white space with the use of colours in the UI helps draw the eye. Images on each page are welcoming and add another aspect to the clean design. 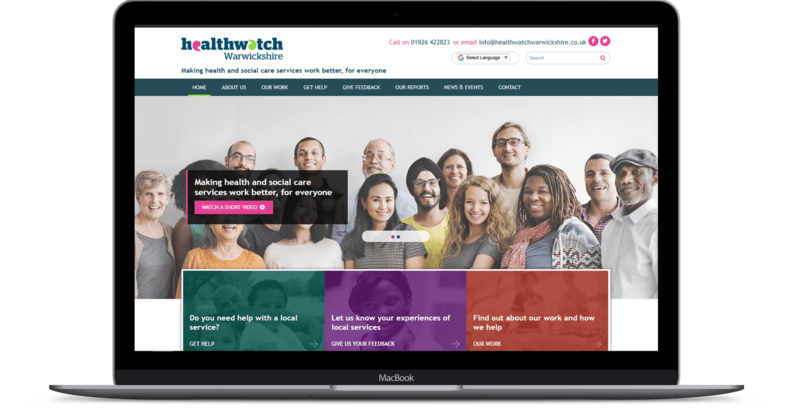 Using WordPress it is easy for the Healthwatch Warwickshire team to update the site with updates and changes. WordPress is a popular, powerful and flexible content management system. The site has a news and events section where the team can publicise upcoming events and share news – all through the straightforward WordPress content management system.